The Cherry Blossom Festival is an annual celebration in Washington D.C. that celebrates the beauty of nature with parades, pink-tie balls, and a variety of other events from March 20th to April 14th, 2019. Tourists from all over the country flock to Washington DC to see our nation’s capital adorned in pink cherry blossoms. This picture-perfect time of year means Ronald Reagan Washington National Airport becomes jam-packed with people visiting for the festival, which is why InMotion is here with our latest airport guide of DCA. Here you’ll learn about the luxurious offerings at Ronald Reagan Washington National Airport and all the great tech you’ll need to make the most out of your visit to the nation’s capital. At Ronald Reagan Washington National Airport, you’re sure to encounter a form of luxury that you’ve never seen in an airport before. Before you reach security by Terminal C, you’ll find Sam & Harry’s - the classic American steakhouse with fresh cuts of meat, tasty sides, and a hand-selected wine list. 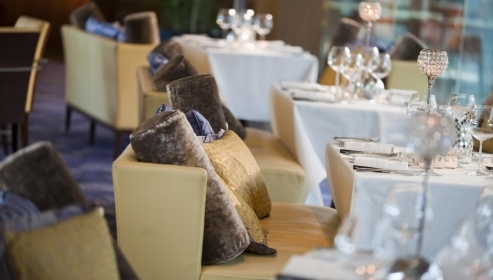 The chic decor delivers such ambiance that you may forget you’re in the midst of your travels. On top of steaks prepared just the way you like, Sam & Harry’s sophisticated flare and attention to detail and service keeps travelers coming back for more. Not only is Washington DC an unforgettable tourist location, but the stunning cherry blossoms make it a spectacle you will never forget. Bring your memories home with you on the GoPo HERO7 Black camera. This tiny action camera records hypersmooth video in 12mp 4k60 1080p240, allowing you to document your adventure in stunning quality. The GoPro HERO7 Black Camera is waterproof and rugged, allowing you to explore the nation’s capital without worry of rain damage or drops. Allowing you to live stream your trip, the GoPro HERO7 Black camera can show your friends and family the incredible sights of the Cherry Blossom Festival long before you return with the unbelievable SuperPhotos the camera collects. 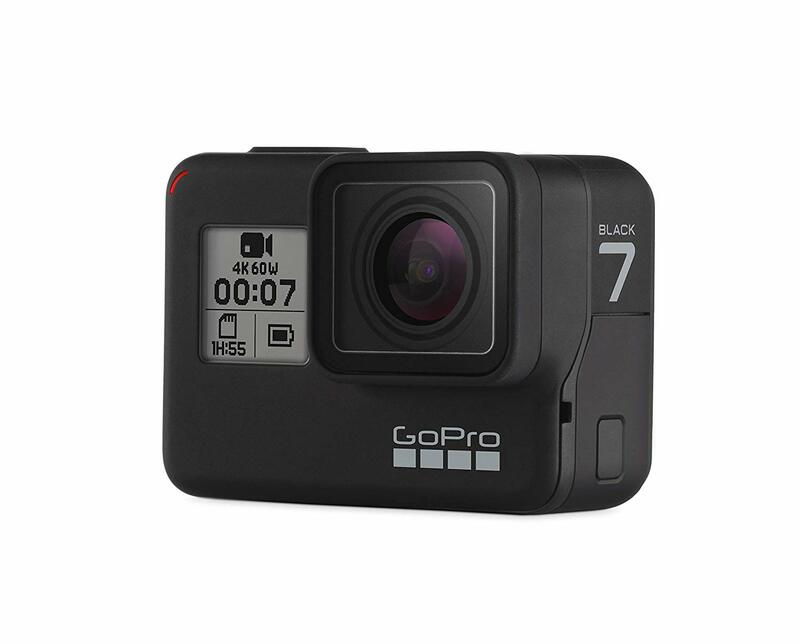 All this plus a touch screen and a variety of user-friendly features makes the GoPro HERO7 Black camera the perfect travel companion for your trip to the Cherry Blossom Festival. Stop in at InMotion at DCA to learn more from our experts about the GoPro HERO7 Black camera. Let’s face it -- while traveling, you spend a lot of time at the airport. Whether you’re early for your departure, waiting on a layover, or waiting for a friend to pick you up. Why not use that time to pamper yourself a bit? This idea is the exact notion that inspired the creation of XpresSpa: the airport mini-spa that allows you to relax, unwind, and treat yourself. At DCA, XpresSpa offers massages, manicures, pedicures, facial, and waxing. 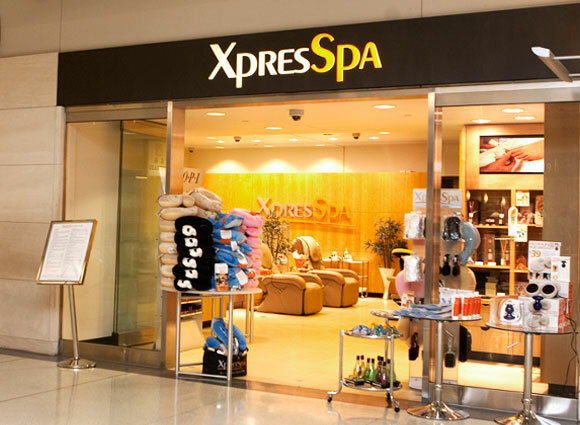 Additionally, XpresSpa is a retailer of a variety of beauty and skincare products, making it a convenient stop in National Hall near Gates 10-22 for anyone who may have forgotten their travel-sized moisturizer, toner, or other skincare necessity when traveling through DCA. There’s nothing more frustrating than traveling with a bunch of charging cables, wires, and chords stuffed into your carry-on. You pull them out tangled or broken, wasting your valuable time while traveling. This issue is a problem of the past with the Samsung Fast Charge Wireless Charging Stand. This wireless charging stand is compatible with an Qi-enabled device and charges 1.4x faster than competitor wireless chargers. 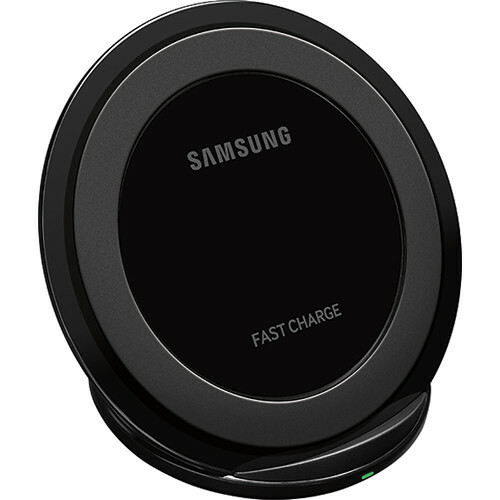 The Samsung Fast Charge Wireless Charging Stand is equipped with Fast Charge technology and an LED Indicator Light that tells you when your device is properly aligned for charging. As one of the most user-friendly wireless chargers on the market, the Samsung Fast Charge Wireless Charging Stand sits upright so you can continue to use your device while it charges, making it a popular item for travelers available at InMotion. All too often while traveling, we realize that we’ve forgotten our headphones, chargers, and other tech essentials, turning a relaxing trip into a hectic scramble to find the tech we need before it’s too late.If you're looking for an electronics store in Reagan Airport, look no further than InMotion, located in Pre-security on the lower floor of Terminal B/C. 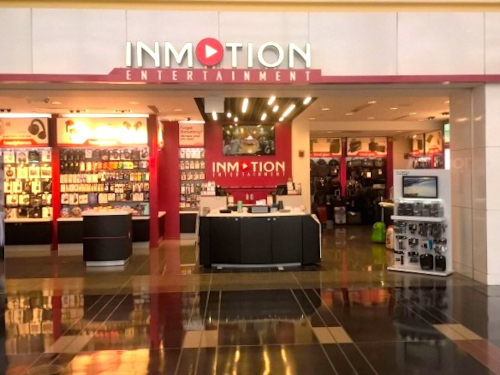 InMotion, the largest airport-based tech retailer in the US - has the newest tech like Apple accessories, Bose headphones, and even T-Mobile Tourist Sim Cards. 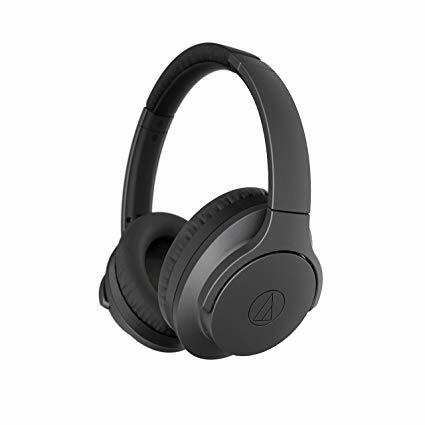 An example of some of the great products you’ll find at InMotion can be found in the Audio Technica ATH-ANC700BT QuietPoint Wireless Active Noise-Cancelling Headphones. These powerful headphones are designed with 40 mm drive for high-fidelity audio and more than 25 hours of battery life, allowing your entire journey to be full of the music you love. Not only do the Audio Technica ATH-ANC700BT QuietPoint Wireless Active Noise-Cancelling Headphones include noise-canceling technology delivered by a proprietary 4 microphone multi-feedback system, but are sleek and foldable, making them perfect for traveling around the world. While traveling to the Cherry Blossom Festival, stop in at InMotion for all your tech needs. 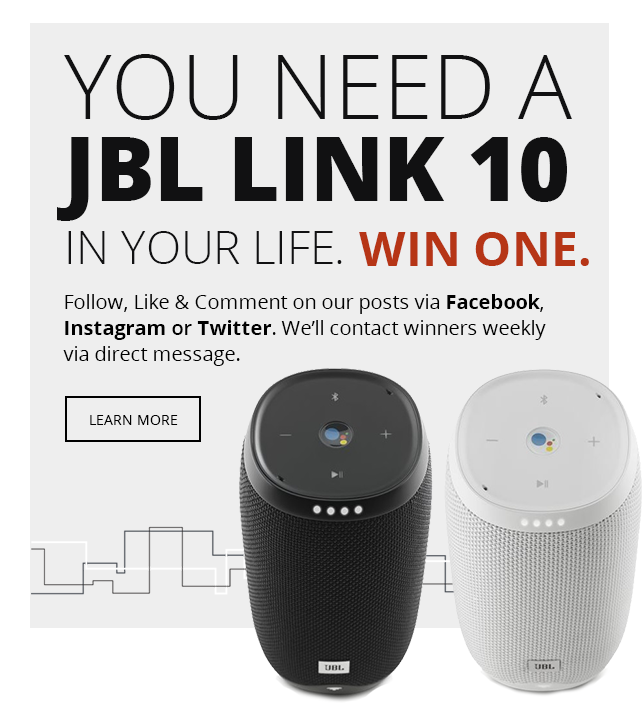 We’ll provide you with headphone demos from our experts, great advice, and make sure you leave with the tech perfect for your needs.